Welcome to Haypi Kingdom! 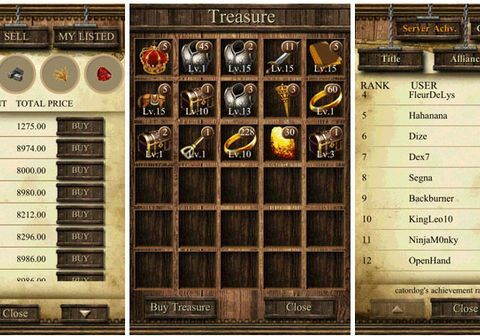 Haypi Kingdom is a massively multiplayer online war strategy game (MMOG) for the iPhone, iPod Touch, iPad, android(Google Phone), and Windows Phone. 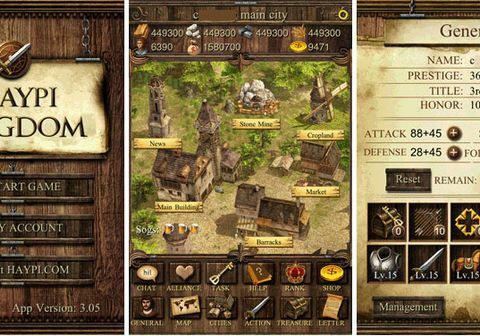 It offers mobile device gamers with elaborate strategy systems, dynamics, wide variety of tasks, in-game chats and great administrative support. In Haypi Kingdom you will be a general striving to make your kingdom prosperous, strong and well-protected through boosting production and construction, forming alliances, waging wars, collaborating, competing and interacting with other generals, etc. While your device is turned off, your kingdom is still in order, fields producing and operations going on. When you return your Haypi Kingdom you will be able to resume the game smoothly with so much more resource. Exert your courage and wisdom and you will reap unbelievable prize and glory!